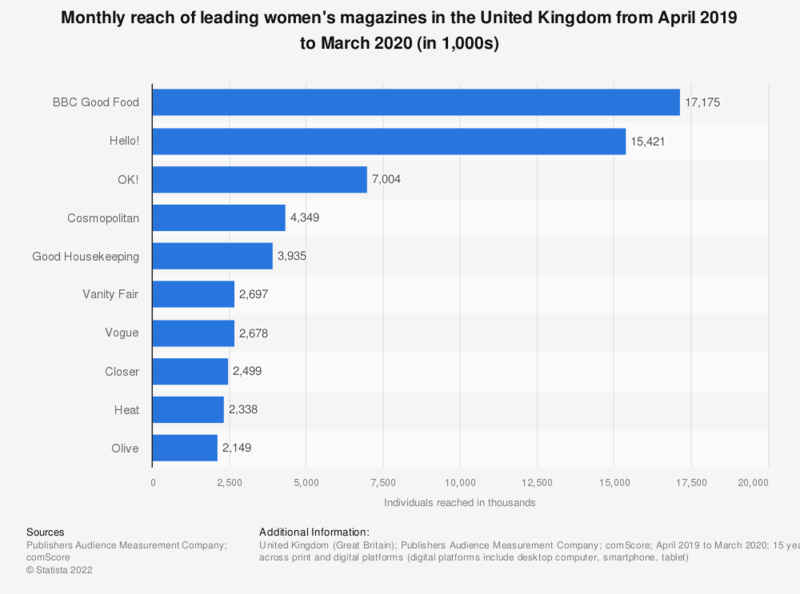 This statistic displays a ranking of leading UK women's weekly, fortnightly, monthly, bi-monthly and quarterly magazines by average monthly reach across both print and digital platforms from January 2018 to December 2018. BBC Good Food had a reach of about 11.6 million readers and website visitors. * The source adds the following information: "All brands listed have estimates published across print AND digital platforms." Includes weekly, fortnightly, monthly, bi-monthly and quarterly titles.